With increasing traffic congestion downtown many of the world cities and growing environmental concerns, many automobile drivers started turning to scooters and even bicycles as their daily commuting vehicles during the Nineties. Experience on two wheels being rather limited for these newly converted users, fears about safety quickly arose. One of the three constructors to be equally present on two- and four-wheel markets, BMW decided to bridge the gap between the two concepts with a revolutionary vehicle, no less. 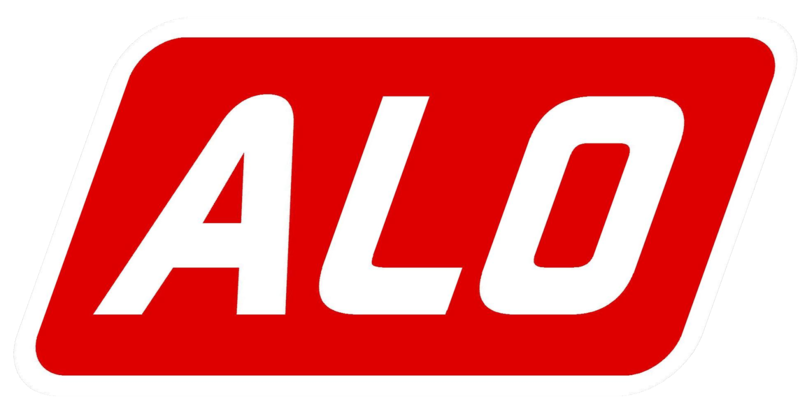 Unfortunately, it failed – most probably sometime in the future it will be seen as too much ahead of its times. 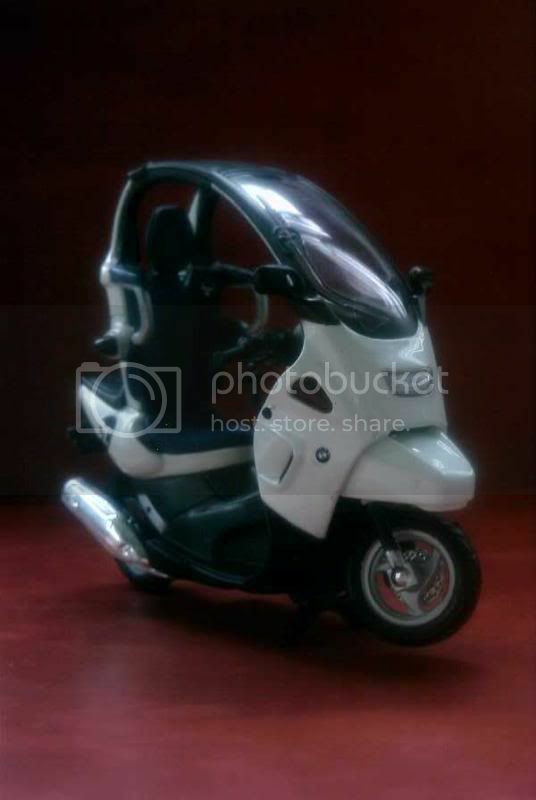 Actually, BMW was even ahead of the demand for a two-wheel city vehicle when it unveiled its C1 prototype in Cologne as early as in 1992. 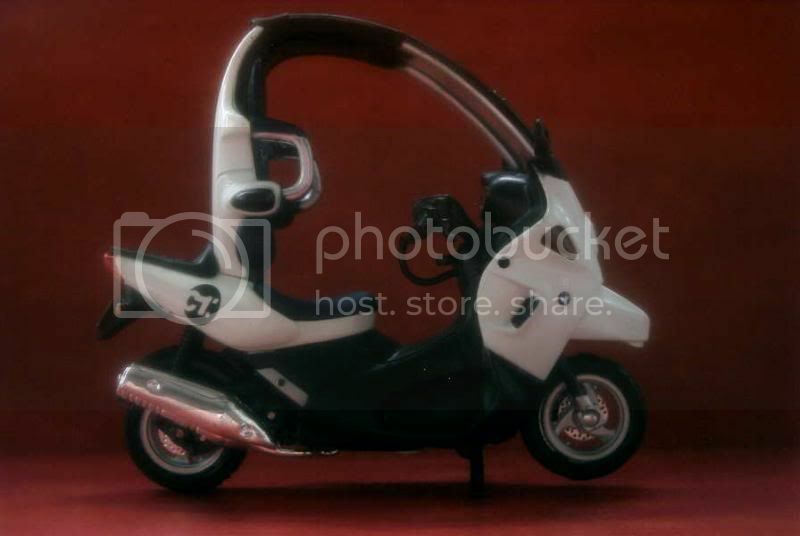 The C1 was, basically, a scooter, but one with… a roof. In fact, the C1 had received more than a simple roof. Its driver would seat in a reinforced cage made of aluminium, and behind a crumple zone. He would also be protected by bars set at shoulder height, and fastened to his seat by aviation-type harnesses. The first goal of the C1 was to demonstrate superior safety standards, and it passed crash tests with flying colours, proving to be as safe as a city car. Based on these results, BMW claimed the C1 could be driven without a helmet. Another potential burden for defectors from the automobile side being operating a motorcycle transmission, BMW fitted its C1 with a CVT system which allowed for extreme ease. Furthermore, the roof offered some degree of protection against the rain. By the late Nineties, the production C1 was finally ready and the time seemed ideal for its launch. 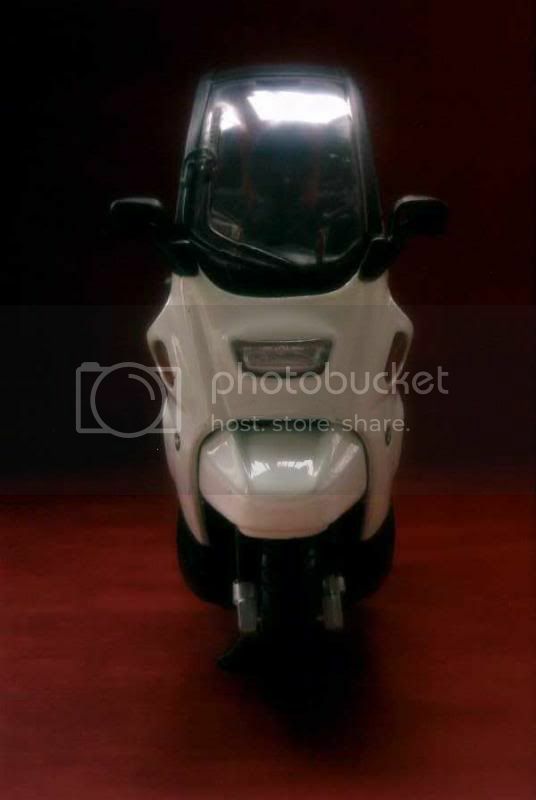 The new scooter was powered by a 125cc mono-cylinder good for 15 hp; top speed, if this ever matters for a city vehicle, was advertised at 106 kph. Rather than producing an in-house engine, BMW purchased its blocks from Rotax, an Austrian company notably involved in ultralight aircraft. Subcontracting didn’t stop there, as actually the C1 production as a whole was entrusted to Bertone in Italy. The C1 was introduced in late 1999, and sales began early in 2000 in most European markets. Apart from its bold design, two factors played against the C1’s commercial success. 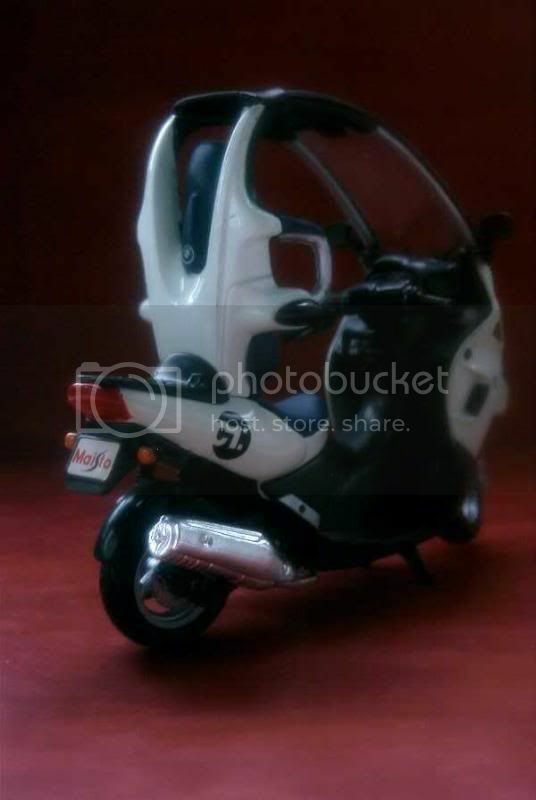 One was its price, much higher than any other rival scooter in the 125cc class. The other one was the reticence from several countries’ authorities to alter the regulations regarding the use of helmets. In the United Kingdom in particular, rigid laws virtually excluded the C1 from the country. Despite the 2001 launch of a slightly more muscular version, named “200” but actually powered by a 17.5 hp, 175cc engine, sales were sluggish. BMW threw the towel during 2003. Did the Bavarian give up all hopes on its C1? Apparently not, as a lightened version powered by an electric motor, the C1-E, as been presented as a concept in 2009. Though the company providing its power, Vectrix, has since then filled for bankruptcy, it isn’t impossible that this pioneering BMW be resurrected one day. Accurate enough, though as it is common with Maisto the “chromed” parts look way too much like plastic rather than metal. My rating is 11/20. BMW sure make special motorcycle with a small wind screen & roof.